This wall hanging class is a great opportunity to learn the Machine Applique technique using raw edges without taking on a large project. It’s an easy way to make a beautiful applique project using your sewing machine. 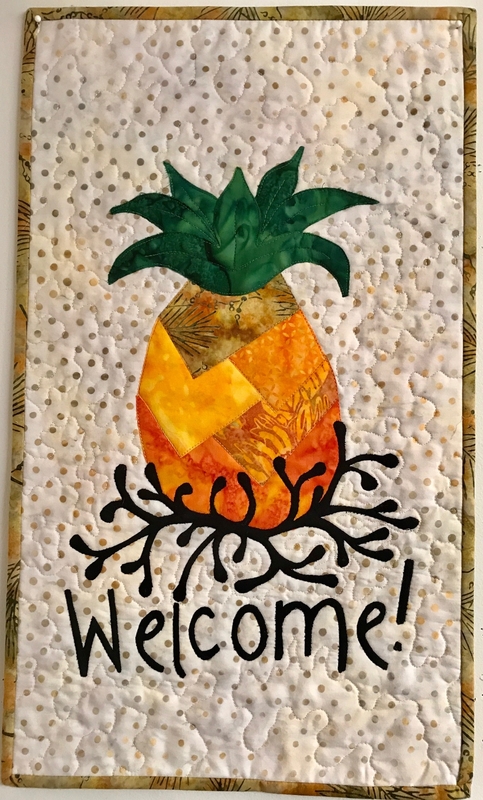 This whimsical pineapple 13″ x 22″ wall hanging is a lovely addition to any décor. This is a technique only class that will only take a few hours out of a busy Saturday. Come join in on the fun and find out what tips Mary Lynn will have to make this technique a success! There is an additional cost for the pattern and fabric kit plus some supplies.